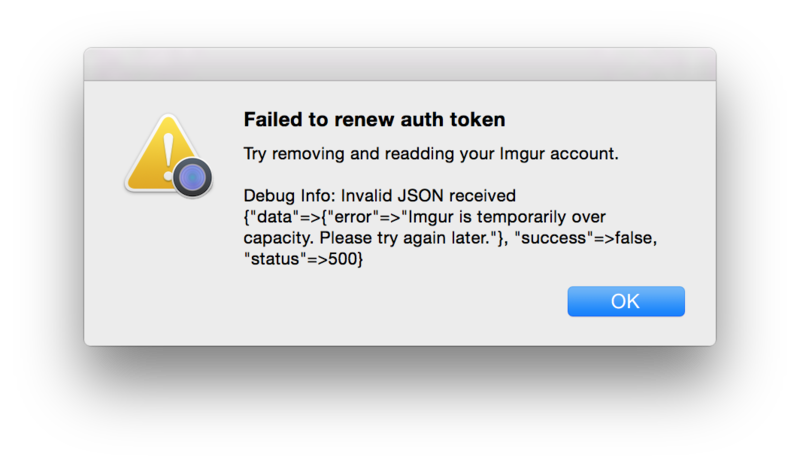 VARIABLE: "support_folder" "/Users/user/Library/Application Support/Dropzone 3"
Error: Try removing and readding your Imgur account. I guess it is because dropzone failed to detect my proxy setting. Try it again now. It looks like Imgur was having issues.